I just ate half a bag of cheese crunchies. Which emptied the contents completely, because I did the same thing last night this morning. This is why, people. This is why I’m not allowed to be alone with tasty treats. They call to me. I actually hear little powdered-dairy voices echoing in my head saying things like “You know you want it” and “Everything tastes as good as skinny feels” and “Just cave already! Eat your feelings! Nom!” And yes– they actually do get angrier the longer I hold out, until I cave under the pressure and eat THE WHOLE DANG BAG. But moving on from crazy town and into actual, adult conversation…. I had to do something healthy for myself after the cheese debacle (I did donate a bag of brownies to a neighbor and trashed the rest of the crunchy population residing in my cabinets), so dove into my vegetable drawer and came up with something that didn’t make me feel like a teenage headcase mourning over the loss of a bag of potato chips. Pathetic! 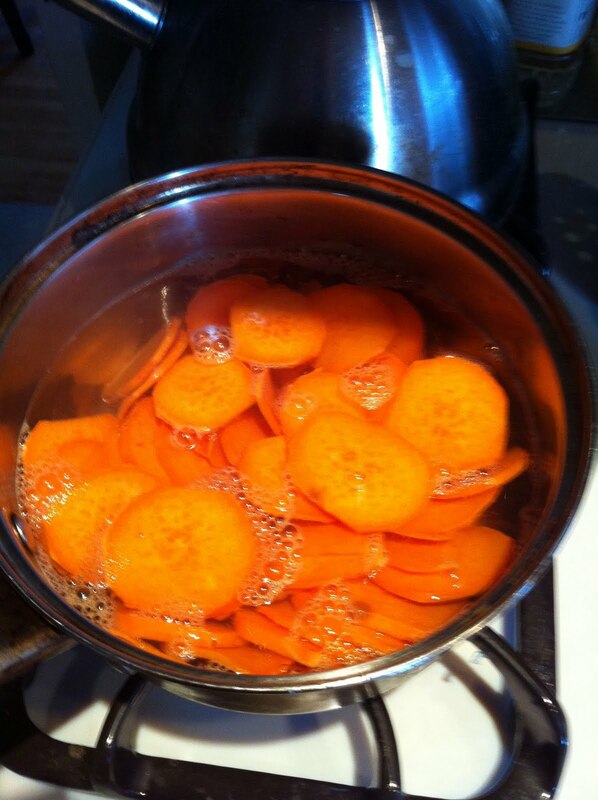 In a large bowl, combine the shallot, garlic, vinegar, salt, and pepper and mix well. 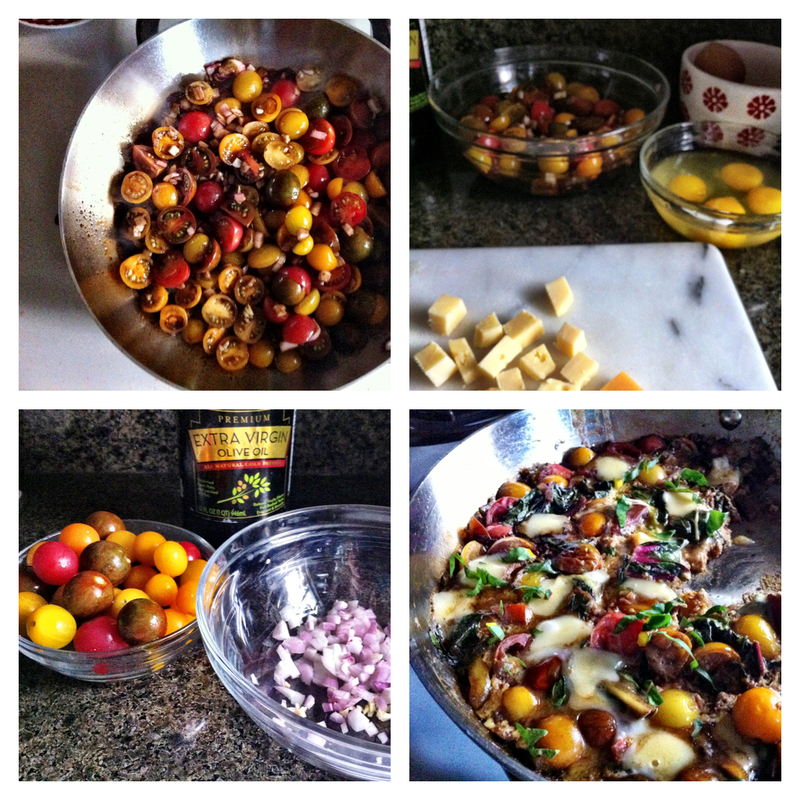 Cut the tomatoes in half and add to the bowl. 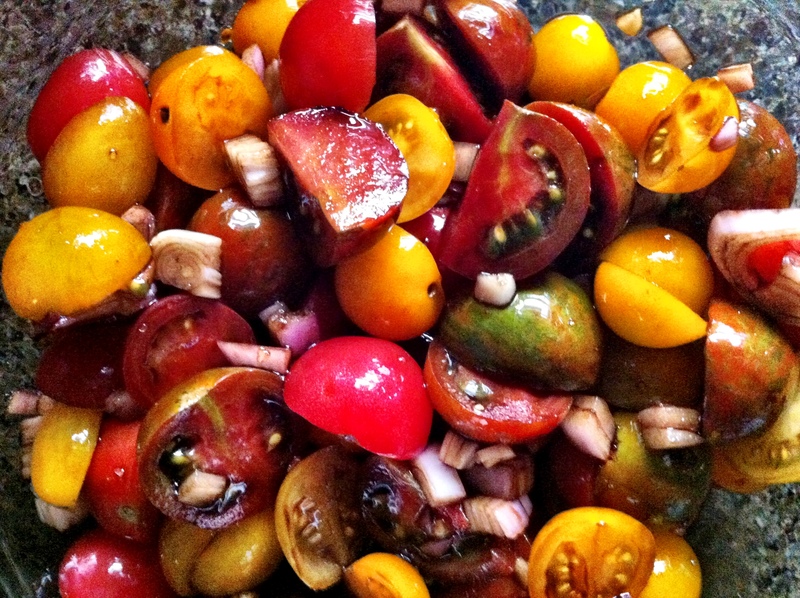 You can use larger tomatoes, but you will need to seed them or else there will be too much liquid in the pan. 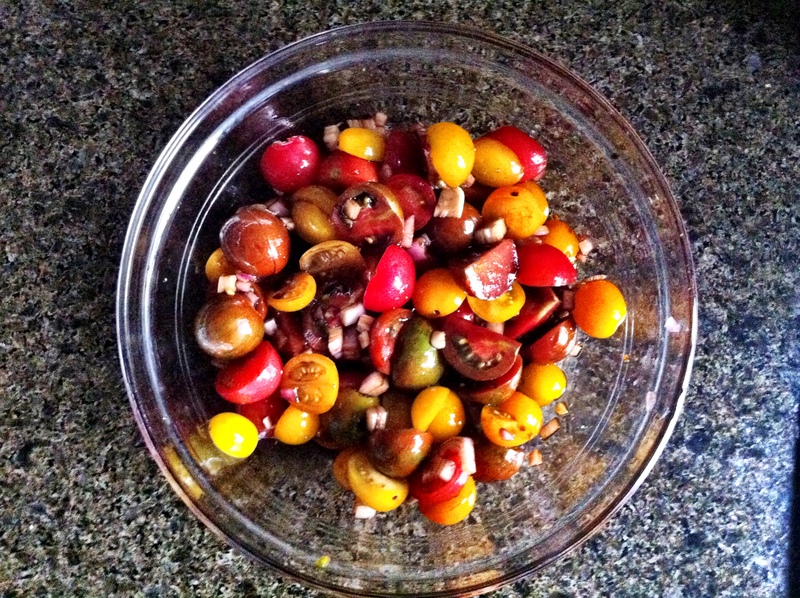 Toss the mixture and set aside to marinate for up to 1 hour. 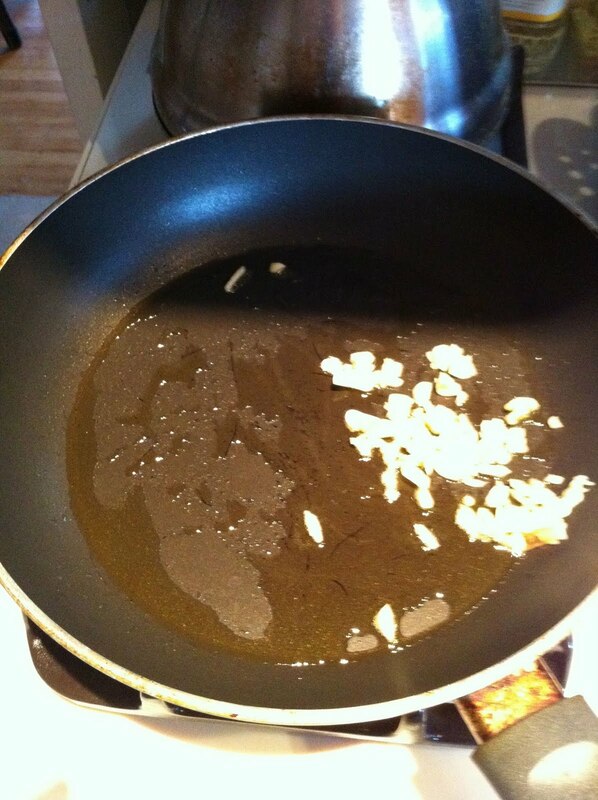 In a large pan heat the oil over medium-high and add the tomato mixture. 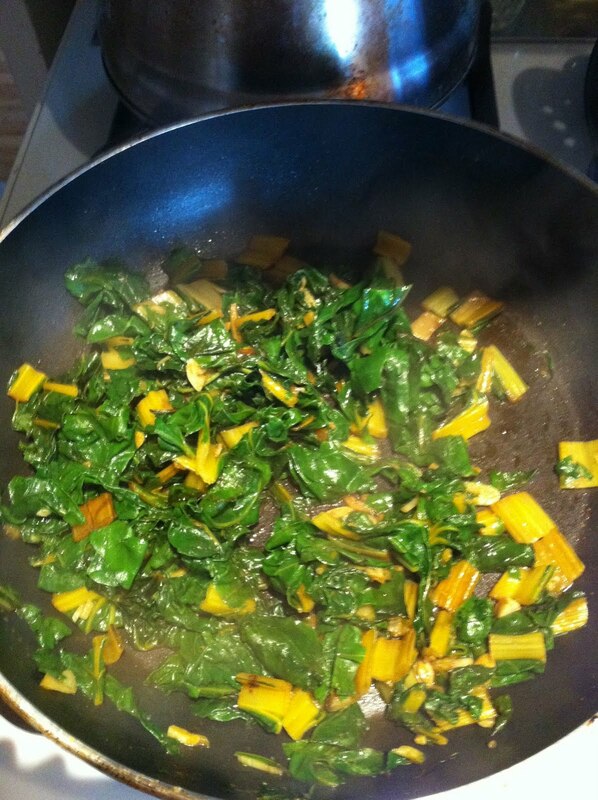 Cook for a few minutes and then add the chard, stirring to cover everything with the vinegar. Cook this down for a few minutes, or until the liquid is reduced to a syrup-like consistency. 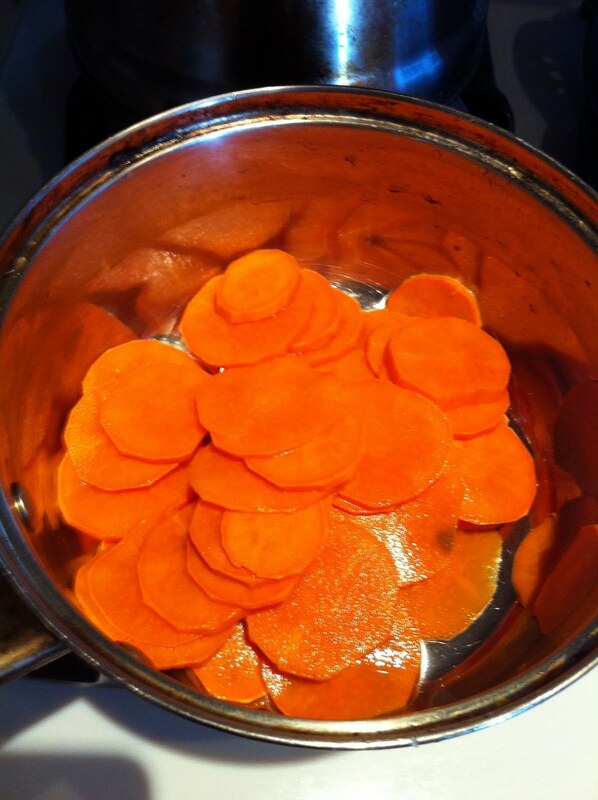 Do not over cook– no longer than 5-7 minutes. Add the beaten eggs and turn heat down to medium-low. Cook for 5 minutes, or until the eggs are mostly set. 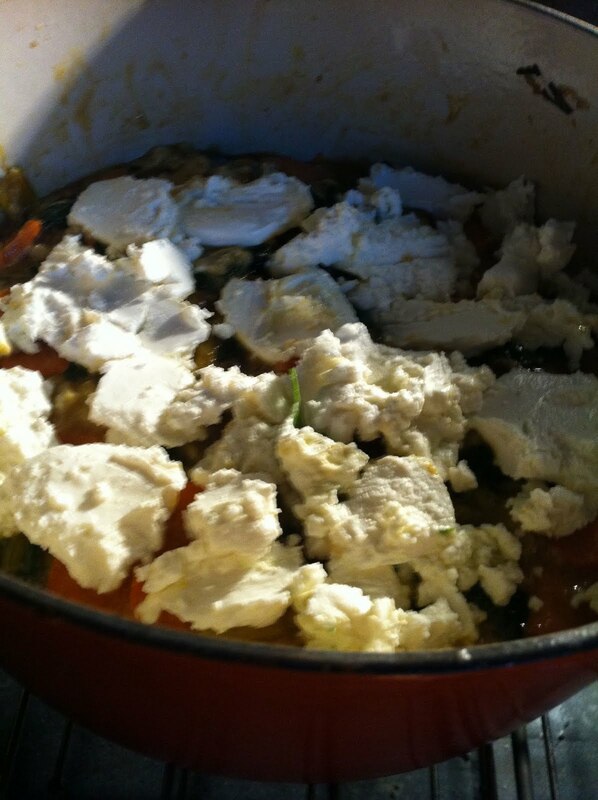 Sprinkle the cheese over the top and cover for another 5 minutes, or until cooked through. 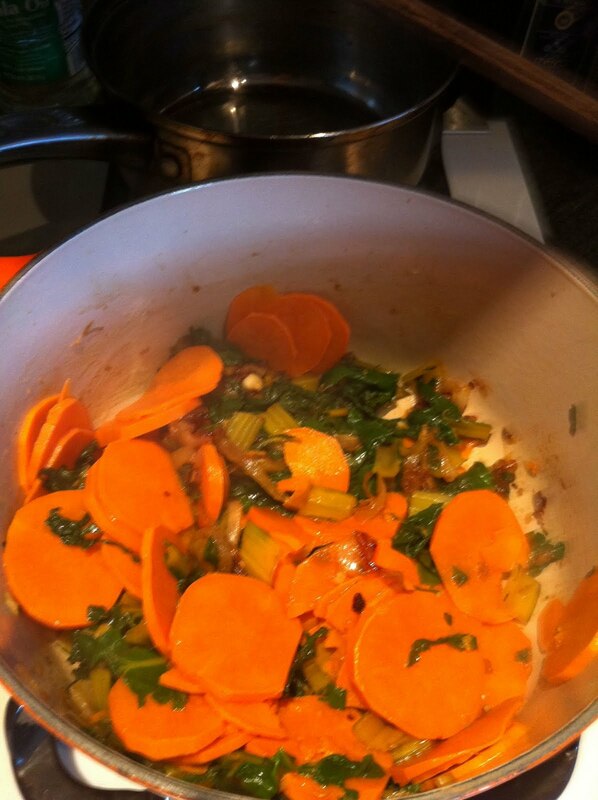 Remove from heat, sprinkle with the basil, and serve immediately. Great with garlic toast! 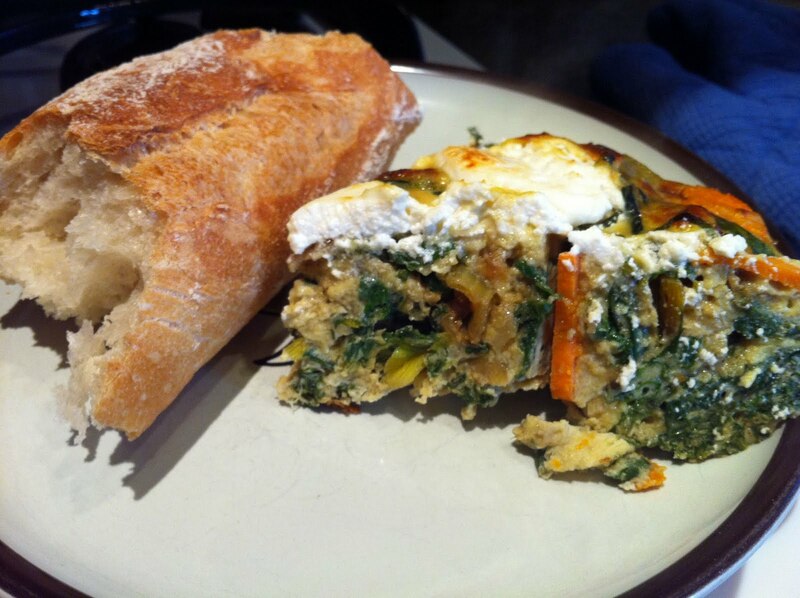 Golden Chard Frittata with Goat Cheese, Caramelized onions, and Yams. Isn’t it pretty? 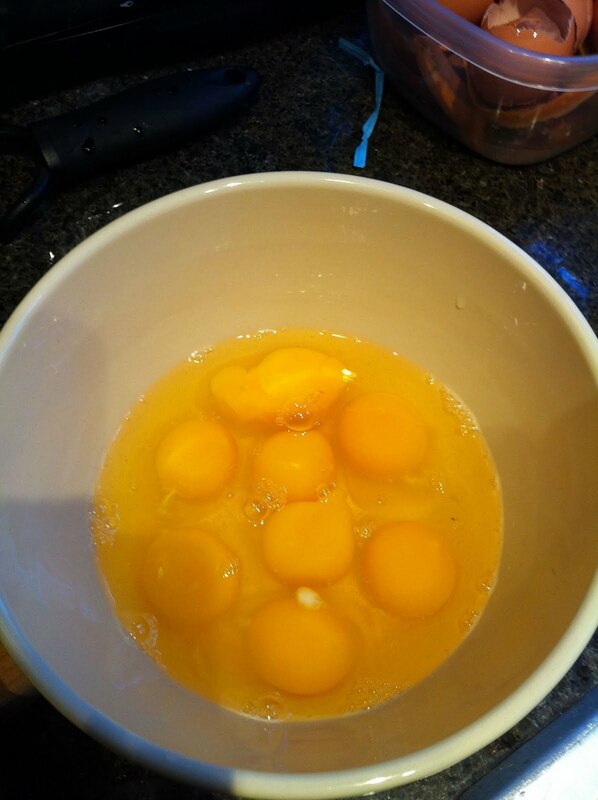 1) Once the eggs are added, cook over a very low heat and do not touch. This will allow the crust to form along the bottom without burning the eggs. 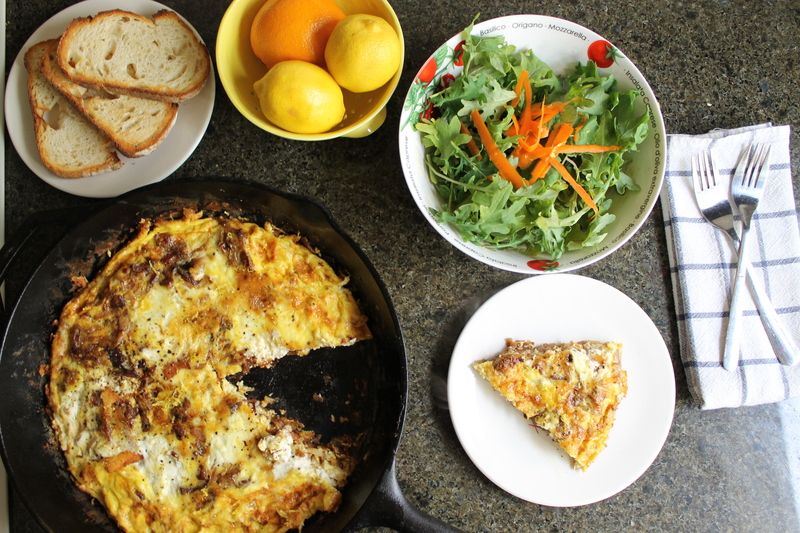 Finish the frittata under the broil so it puffs and finishes cooking. 2) Once the eggs are added, cook over medium heat and move the eggs around slowly, so everything evenly cooks, but no crust forms. Finish under the broil. 3) Add the eggs with a touch of flour and baking powder, then cook the entire thing in the oven for almost an hour, with no stove top time at all. 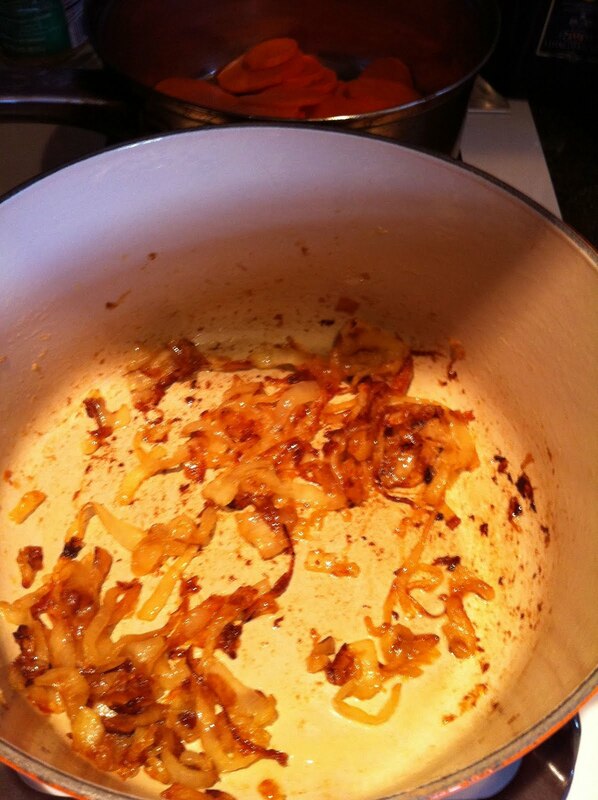 Start caramelizing your onion, since this can take up to 40 minutes. 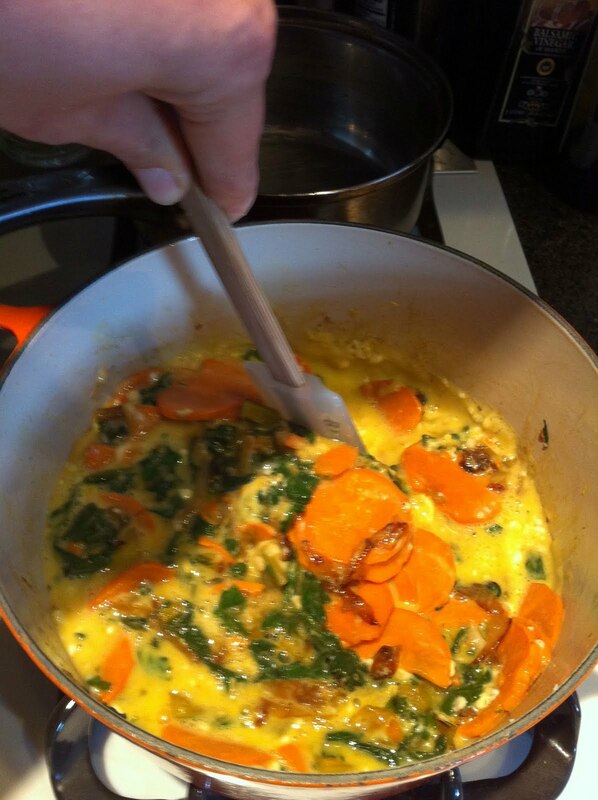 Thinly slice and throw it into the pan (medium-low heat) you intend to finish the frittata in; ie, a pan that is deep enough to handle the whole frittata and being put in the oven. Don’t skimp too much on the oil– 2-3 T at least. 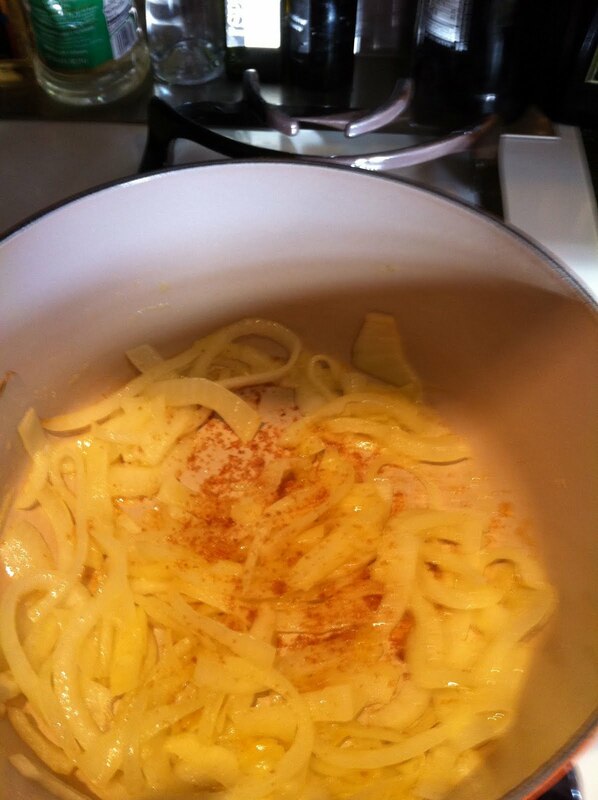 After the onion has softened, add the sugar and continue stirring. Meanwhile, bring a medium pot of water to boil. 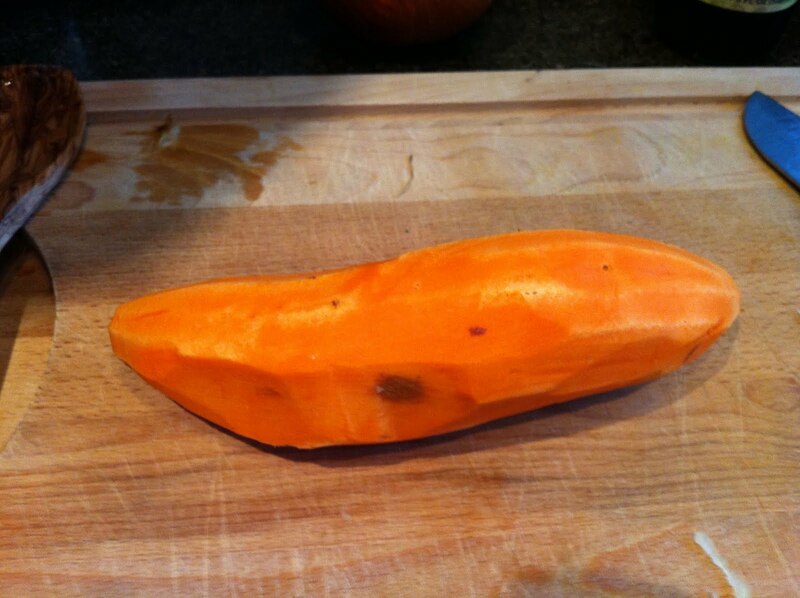 Peel and thinly slice the yam and parboil in the boiling water for about 5 minutes, or until they are sufficiently softened. Drain and run cool water over, to stop them from cooking any further. Set aside. 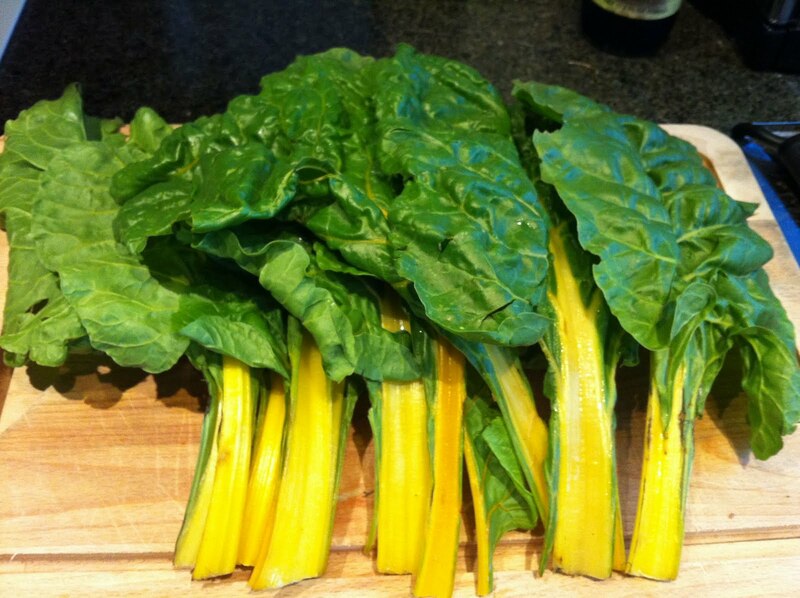 Wash the chard thoroughly, making sure that no stray beetles make their way into your dish. Ew. Chard is one of the most magnificent greens you can eat and it is very much in season right now, so go to the hippie store and grab yourself a vibrant bunch. You can read all about the health benefits here. They are quite extensive! 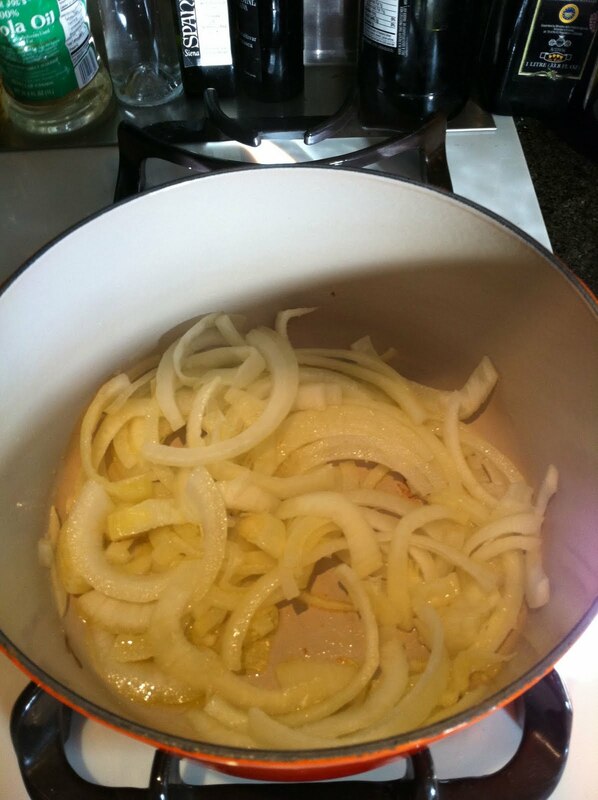 You should be checking your onions periodically and giving them a good stir. How do they look? They should be slowly browning and softening. 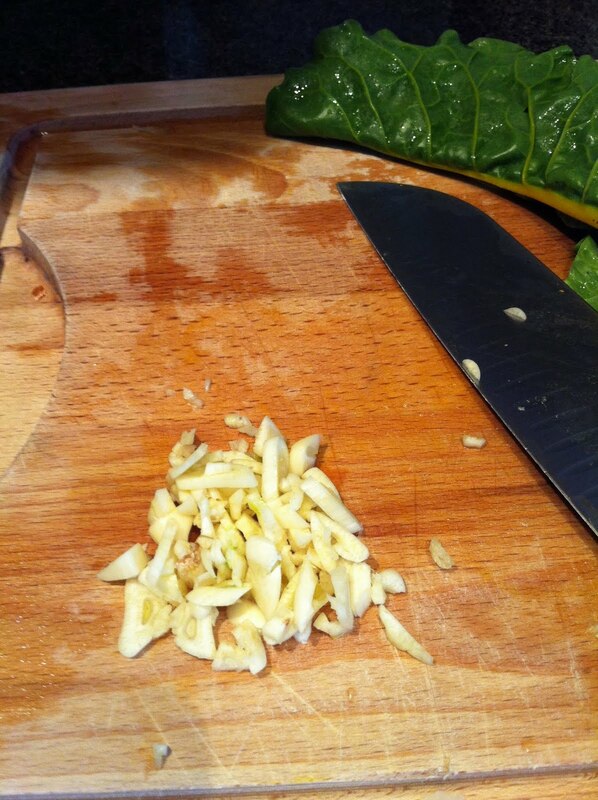 Chop your chard, stems and all, into small pieces. Throw in some chopped garlic as well. Heat over medium heat until fragrant. 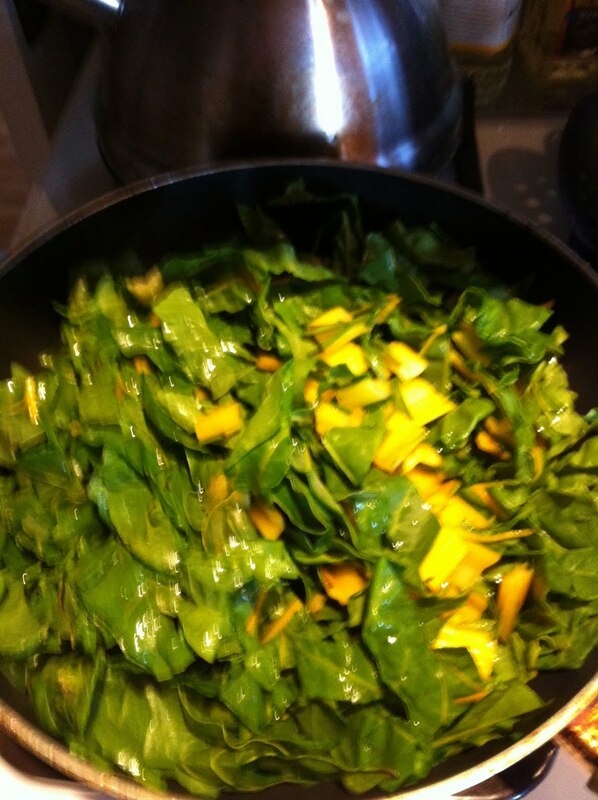 Throw in the chard and the garam masala and saute for about 5 minutes. I was hunting through recipes for chard only and found a very intriguing one that sang the praises of garam masala+soy sauce, so I decided to take the plunge. I am happy to say that it came out very well. I don’t know much about Garam masala, but it turned out with a very nice exotic sweetness that was quite pleasing, especially with the yam. If they have turned dark brown you can turn the heat off. Otherwise, keep them going at a low heat. Once the chard has softened, add the soy sauce and continue to saute until the liquid has evaporated and it is basically done. 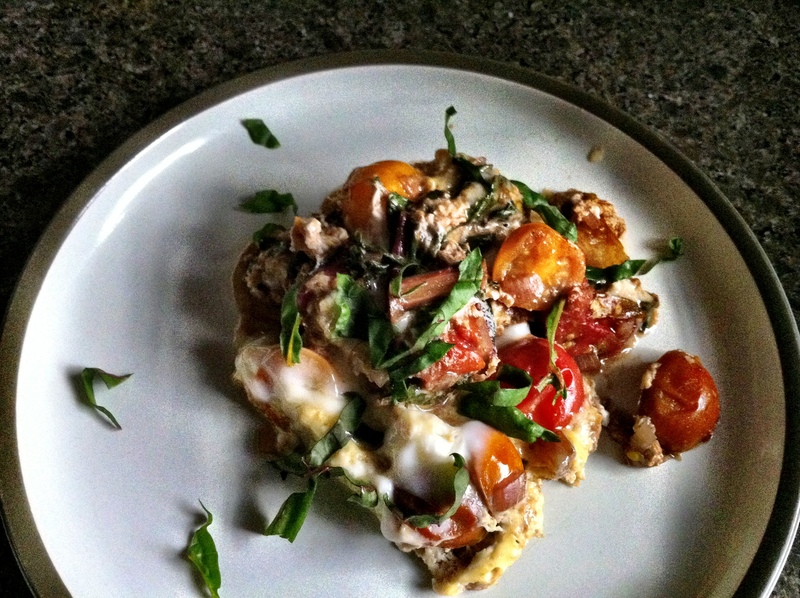 It won’t cook much more with the eggs, so it needs to be very nearly cooked through. Once it reaches this state, turn the heat off and prepare the eggs. 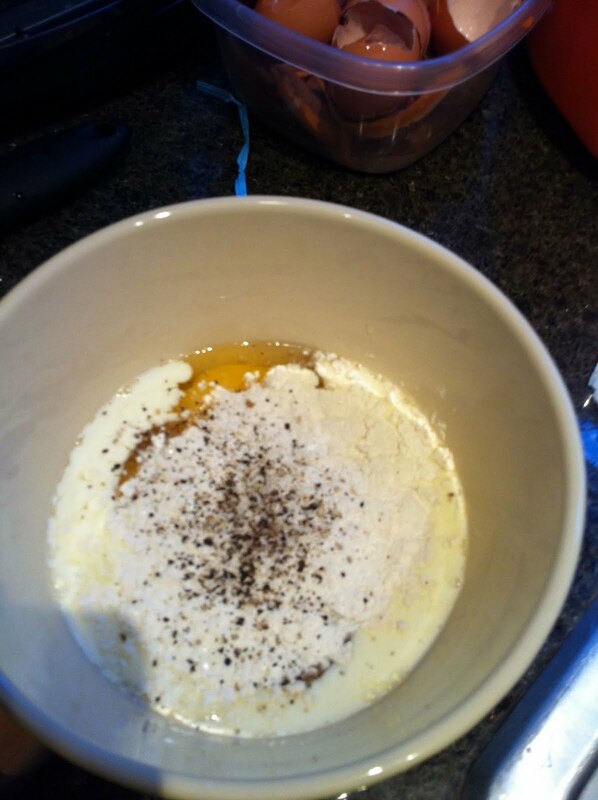 Crack them into a bowl with the half and half, S+P, flour. Whish vigorously to break up any lumps, but do not over beat. It might be worth your while to mix the flour in with a single egg before incorporating it into the rest of the ingredients. You’re ready to rock and roll, so roll up your sleeves, turn up Shania Twain, and center your chi. 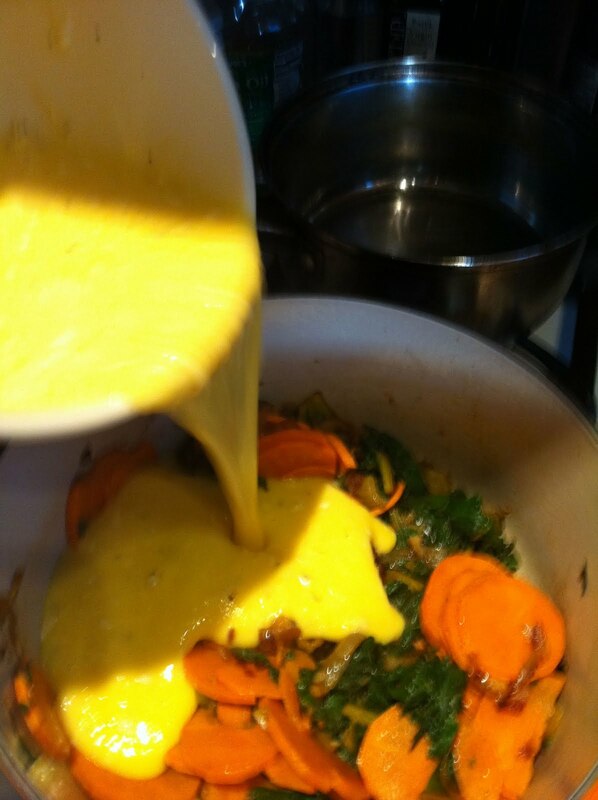 Turn the heat under the onion to medium, throw in a cube of butter and let it melt, then add the chard and yam. Let it settle in for about a minute or two; meanwhile, preheat the oven to 375. At this point, you can choose to turn the heat down to low and let it do it’s thing for about 10 minutes. If so, make sure you gently push the sides in sporadically, so the uncooked egg can roll onto the bottom of the pan to cook. Or, you can do what I did and leave the heat on medium. I then pushed the egg from the outside in at a very slow pace. 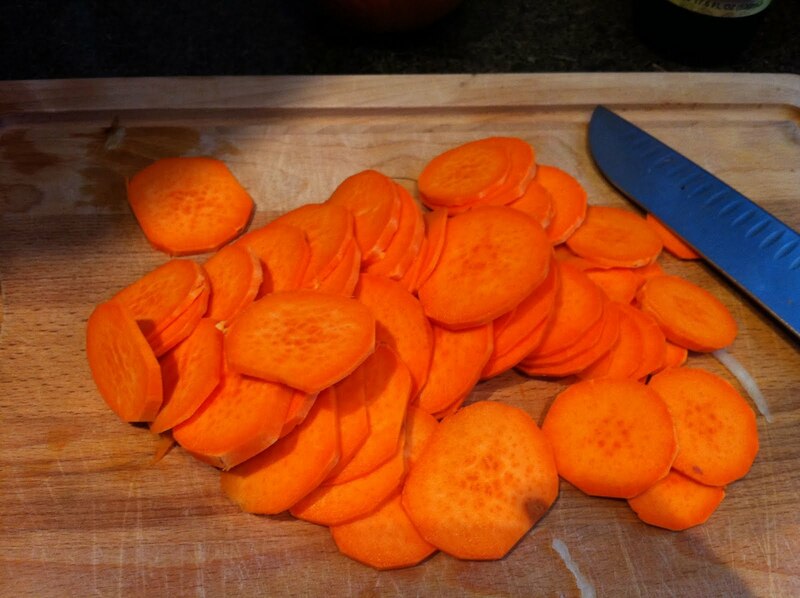 This will ensure even cooking, but you won’t have as impressive of a crust. Once the egg is mostly set, stop pushing it around and let it settle back into itself. 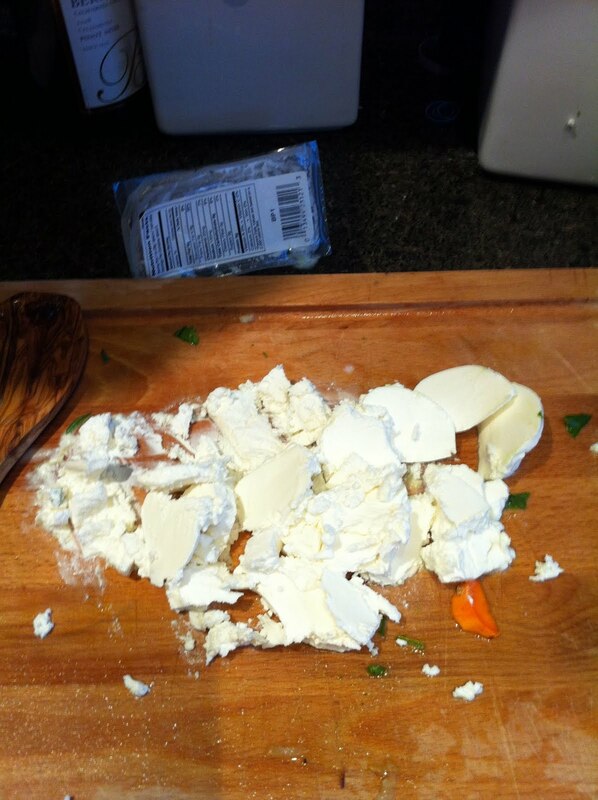 Start layering the cheese on top; once it is all ready to go, pop it into the oven for 5-10 minutes. Turn on the broiler and let it go until brown and bubbly. 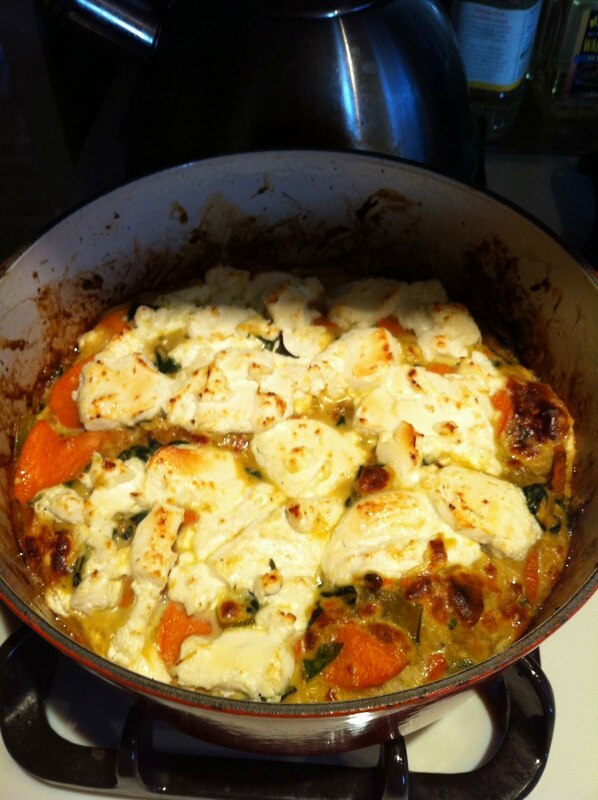 It should puff up nicely due to the high heat of the broiler. Let it rest for about 10 minutes, carve yourself a slice, and enjoy!